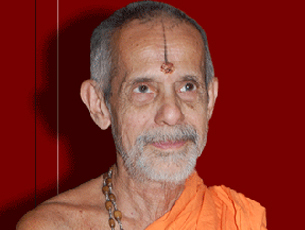 Udupi, June 18, 2016: Paryaya Pejawar Muttseer Sri Vishwesha Theertha Swami said the temple would be built as a new structure and the existing small structure will be demolished. The amount kept aside for this purpose is Rs 1.25 crore. Krishna Murthy, State president of Kanaka Sadbhavana Jyoti Rathyatra Samiti, Bengaluru said that the construction will begin on July 10. The work will get over before Kanaka Jayanti, which is scheduled on November 17. The inauguration will be done by CM Siddaramiah at Sri Krishna Mutt premises. The small structure covering the statue of Kanakadasa will be demolished and the statue will be kept. There is about 600 square feet land area available and temple will be built within that area. Sculptor specialists from Mahabalipuram have designed the blue print and will be using special stones available there for the constructions of the temple, said Krishnamurthy. Also Kanaka Sadbhavana Jyoti Rathyathra Samiti donated 25 lakh while Kaniyur Mutt seer Vidyavallabha Theertha Swami will donate Rs five lakh and Pejawar seer has told that he would extend financial and other required aid for the construction of the temple. Krishnamurthy said Bhakta Kanakadasa Mandira Jeernodhara Samiti has been formed under the leadership of MP Shobha Karandlaje and MLA Pramod Madhwaraj. There is no need to built a Temple for Kanakadasa but the respect has be from within us and not for show off .